The perfect gift for the cheer mom! You may choose your teams color for this faux glittery look design. Available colors are shown in 3rd photo. (Red, Orange, Yellow, Green, Blue, Purple, Pink, and White). *Please Note* - This pendant is not made using real glitter. The glitter design is printed and set under a glass dome. 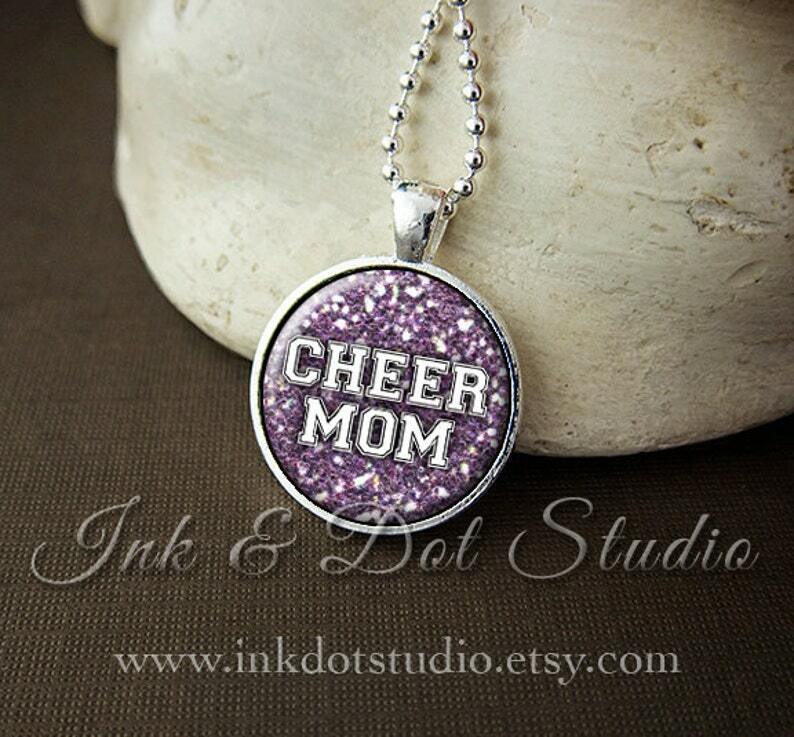 Cheer Cheerleader Necklace, Faux Glitter Cheerleading Pendant, Cheer Mom, Cheer Coach, Cheer Team - Choose Your Team Color!